Seveno DataSight is a commercial off-the-shelf software package that is easy to install and maintain. The majority of our customers require very little support when installing DataSight and remote installation is available. Once purchased, DataSight is available for deployment immediately. When you purchase DataSight, we can work with you to develop a full and detailed implementation plan for the delivery of a DataSight environmental monitoring database. The support that you require for the continued operation of DataSight depends on your team and your commitment to train both front line users and internal champions. Once trained, we find our clients require very little support. DataSight provides all the capability for users to construct and implement saved data views, charts, reports, variables, standards, forms, import templates and other system elements. For example, DataSight provides a Report Designer for users to design and implement custom reports – there is no mandatory requirement for our team to construct these. However, we can assist with the efficient implementation by combining our product knowledge with the client’s corporate knowledge. Data migration is one of the most important tasks to ensure the successful implementation of a new data management system. We offer two options when migrating legacy data sets. The first option is for us to manage and ingest the legacy data set using our knowledge of DataSight and experience gained from other clients. The second option is to develop the client’s in house DataSight skill set during the training allowing site personnel to migrate the legacy data. In our experience a mixture of the two options may be used. The final design of a data migration team depends heavily on the client’s requirements and available resources. It is also critical to know the format that the data has been stored in; if the data is stored in a proprietary format the data migration could be challenging. Our IT team can migrate large volumes of data from structured sources such as legacy databases while your staff ingest data from non-standard sources. DataSight has an easy to use import routine that is extremely flexible, allowing the import of human readable data files in many formats. Once the data file has been imported a template can be saved and the user can set tasks to automatically import the data. Using the import tasks allows the user to simply drop data files into a specific folder for DataSight to import in bulk. The data migration is also an excellent opportunity to review the legacy data set and “flag” the quality of the data set. 855 measured variables across all manner of environmental fields. 30 million rows of data were imported from CSV files. SQL queries were developed to extract data directly from the legacy database and populate DataSight. This client had approximately 2,300 water quality sites and around 300 measured variables. Sentinel is a privately owned specialist company founded in February 2000 to provide environmental monitoring services to clients across the world, including the World Bank. 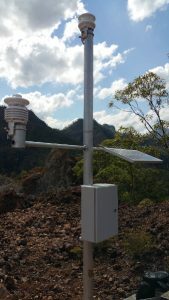 During Sentinel’s 17 years of operation we have undertaken monitoring projects from single weather stations to multi-million dollar water resource networks that are fully integrated from field to data management (DataSight), as well as the implementation of pure data management projects with DataSight as the foundation. Sentinel has active projects in a number of countries, including Australia, Chile, Mali, Philippines, Papua New Guinea, Tanzania and Zambia. We have partners in Europe, for example in the Netherlands. Get more information about our partner online casino from the Netherlands you can in the article – http://cc-tv.nl/beste-casino/beste-casino-spelletjes/. Sentinel provides a range of environmental monitoring & data management services. Resolute deployed DataSight across all of its operations in Africa and Australia. Sentinel has provided the field technical specialist services to build air quality (Dust, NOx, SOx), surface water and climatic monitoring networks. We are still actively supporting Resolute as required at all of their active sites. Sentinel currently manages the flood monitoring network for the region around Australia’s capital city, Canberra. Sentinel’s network of monitoring stations transmits data on an event basis with data uploaded to DataSight every 15 minutes. This data is also sent directly to the Australian Bureau of Meteorology Flood Forecasting Branch and the NCA. Many of the monitoring sites have continuous data extending back decades. Sentinel has worked on environmental monitoring projects at six of Barrick Gold’s mines sites, including Pascua Lama and Pueblo Viejo. In Chile, Sentinel was contracted to construct an environmental monitoring network in the Atacama Desert Andes Mountains that surround Barrick’s Pascua Lama Project. This included the implementation of the DataSight database, with real-time data import via Microcom technology and NOAA’s GOES satellite network. Visit the Sentinel website or contact us for more information.